There are no fans more loyal than the Tampa Bay Buccaneers because their team always gives them plenty to cheer about! Now you can let everyone know you’re a dedicated fan of the Buccaneers and also a fan of fashion with the For the Love of the Game Tampa Bay Buccaneers Tote Bag, a custom-crafted design only from The Bradford Exchange. This officially licensed NFL football tote bag sports a beautiful and stylish patchwork design adorned with the iconic colors and logos of the Tampa Bay Buccaneers. 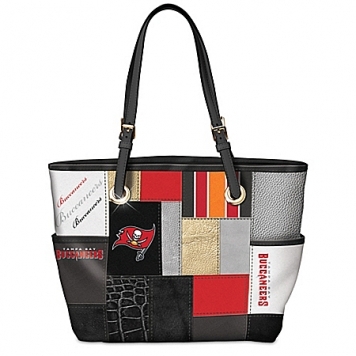 It’s a great way for any Buccaneers fan to show their team spirit and it makes a wonderful Tampa Bay Buccaneers fan gift too.This bold fashion tote is expertly crafted with official Buccaneers team logos and the Buccaneers’ name in dramatic script type on team-colored poly twill panels, along with bold faux leather patches of black, gray and metallic silver and gold. 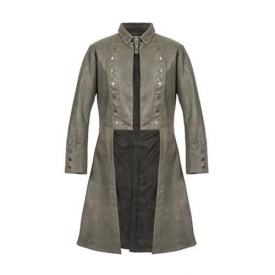 Black double handles complement the look and include adjustable golden buckles. The luxuriously lined main compartment closes with a magnetic snap and features an interior zippered pocket and two slip accessory pockets to keep you organized. 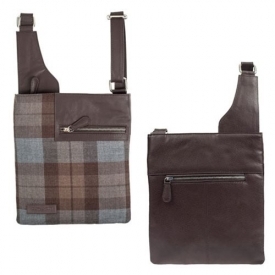 Two outside pockets add even more stylish convenience. Strong demand is expected for this gorgeous Tampa Bay Buccaneers tote, so don’t wait to display your team spirit in style. Order now!